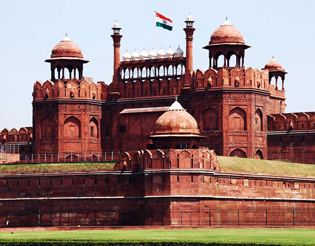 Delhi is a bustling metropolis and an interesting blend of fast paced modernisation and carefully preserved antiquity. For tourists, Delhi's strategic location allows easy access to the rest of the country by road, rail and air. 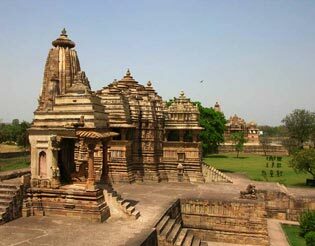 Khajuraho is a famous tourist and archaeological site known for its sculptured temples dedicated to Shiva, Vishnu, and Jain patriarchs. The city of architectural wonders and see the majestic Taj Mahal. 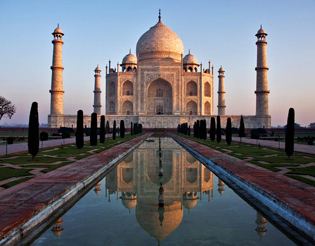 This beautiful marble monument is known as new 7 wonder of the world, located on a bank of the Yamuna River in Agra. The beauty of Kashmir is legendary. 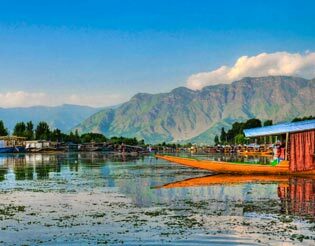 It provides a journey to various picturesque places, like Gulmarg, Pahalgam and Sonamarg including various green valleys, the lakes and the gorgeous houseboats. 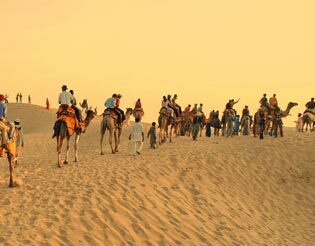 Best wildlife parks in Rajasthan. 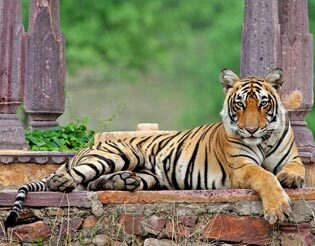 It is famous for project tiger, Ranthambore has become one of the finest places to view tigers. The park is open from 1st October till 30th June. 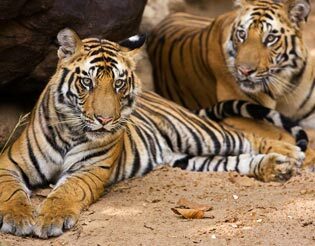 Corbett has the highest density of tiger in the Country. 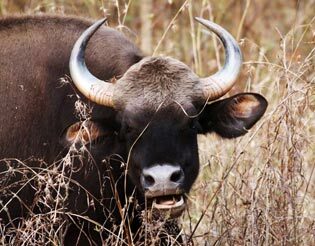 Besides the tiger, Corbett is a haven for 50 mammals, 580 kinds of birds and 25 reptile species. 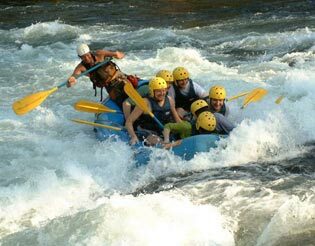 The national park is situated at 197 km away north-east of Jabalpur famous for tiger reserves. Jodhpur in Rajasthan, India is also known as "Sun City". 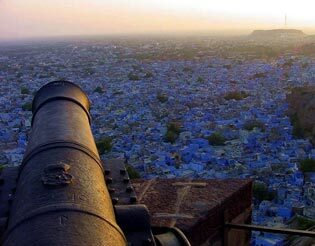 This Jodhpur City Guide provides you information about Jodhpur travel and tourism. 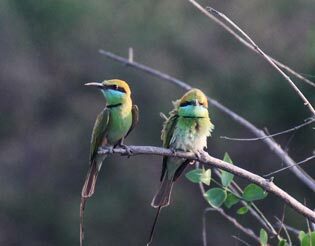 The Bharatpur Bird Sanctuary is one of the best and famous wildlife sanctuaries in India. 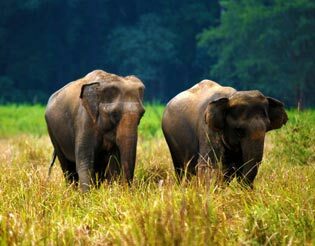 It is the only wildlife sanctuary in India that is artificially made by a Maharaja. 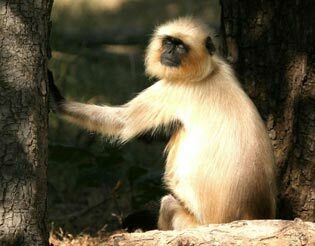 Kanha Tiger Reserve is located in the Maikal range, the eastern sector of the Satpura Hills of the Central Indian Highlands. 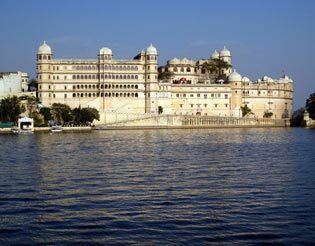 Udaipur is one of the beautiful city of Rajatshan. 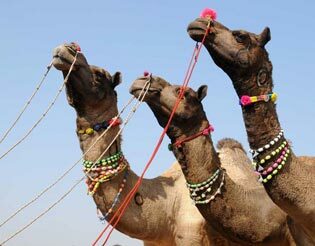 It is also known as Lake City Of rajasthan. 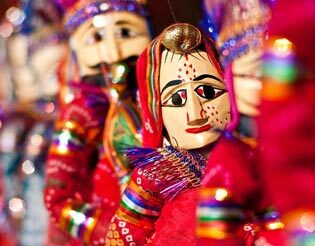 Udaipur is hub of cultural activities in Rajasthan. It has mainy tourist attraction for first tmie visitor to India. Pench Tiger Reserve, nestling in the lower southern reaches of the Satpura hills is named after Pench river which flows from north to south through the Pench National Park.